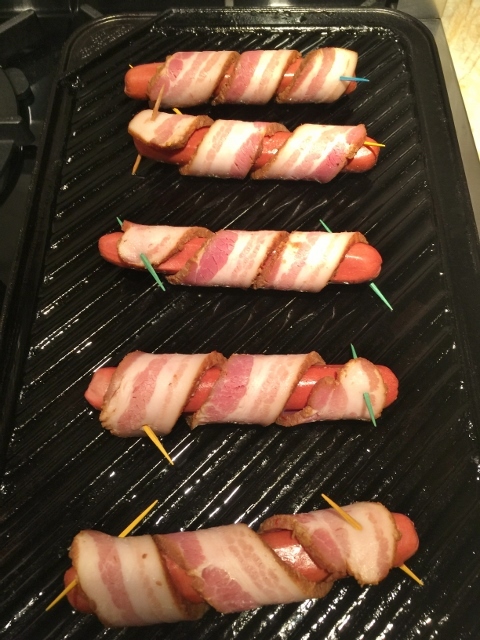 Bacon Wrapped Sriracha Dogs - Recipe! - Live. Love. Laugh. Food. 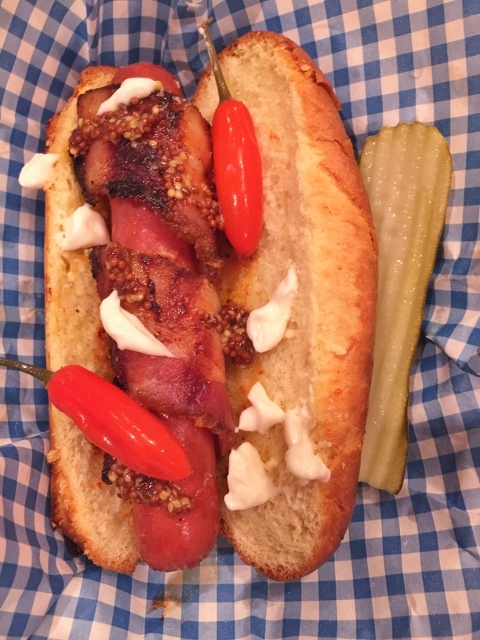 Bacon wrapped dogs are a big thing in Los Angeles. 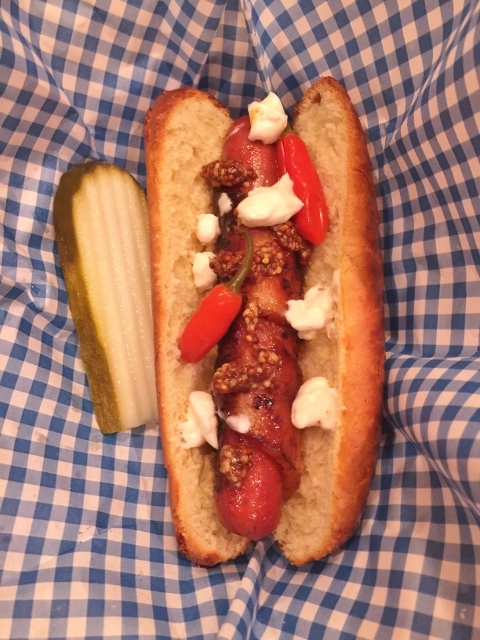 If you have ever been to the Hollywood Bowl, Wiltern Theatre or most other venues, you can always smell the smoky wieners cooking over an open grill right after the show. On most occasions, I try to resist the temptation, but there are special circumstances in which I just have to have one. 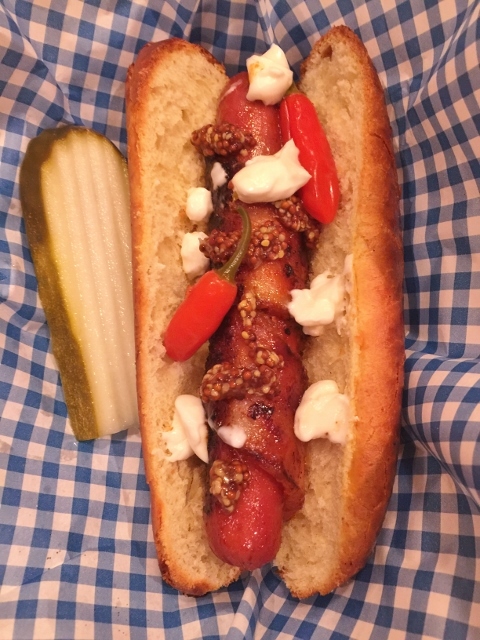 There are much better varieties of hot dogs today. When I was young my mother wouldn’t let us eat many hot dogs because of the preservatives and who knows what else was in there, but nowadays you can buy grass fed, corn finished all beef dogs that are quite amazing. Of course you can always use the standard kosher dogs or Oscar Mayer, but I suggest you walk on the adventurous side and try some of the new varieties. 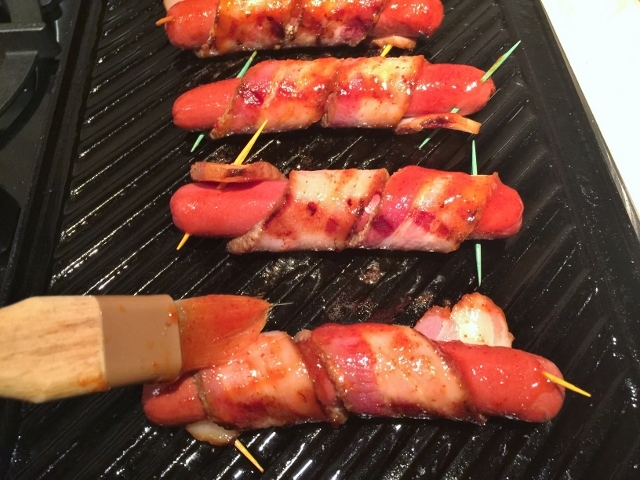 These Bacon Wrapped Sriracha Dogs are my interpretation of these late night eats. 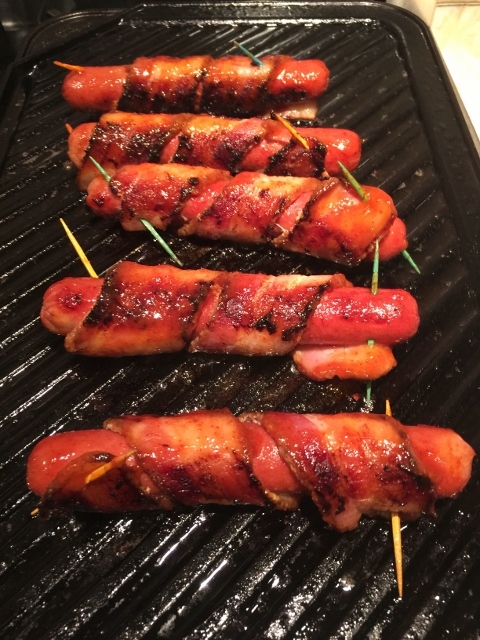 I use thick cut no-nitrate bacon and wrap it snugly around the hot dog and secure it with toothpicks at the end. 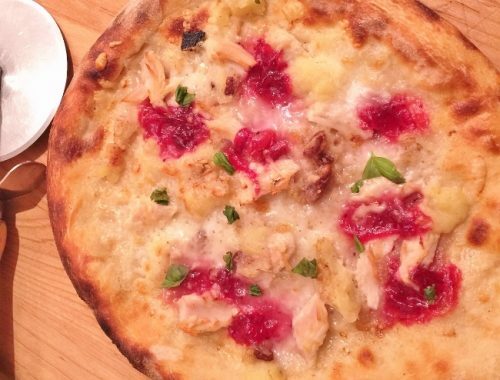 Grilling is a snap, just toss them on a stovetop grill pan, or grill outside. A quick brush of my Sriracha Glaze, while the wienies are cooking and you have yourself a fun summer meal. 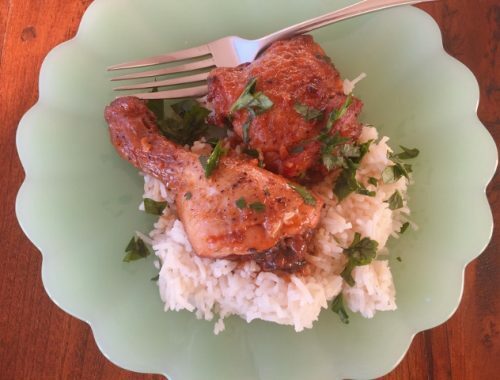 These dogs are perfect to make for your favorite game or serve them up as a casual weeknight meal. Don’t forget to warm the buns right before serving. 1. 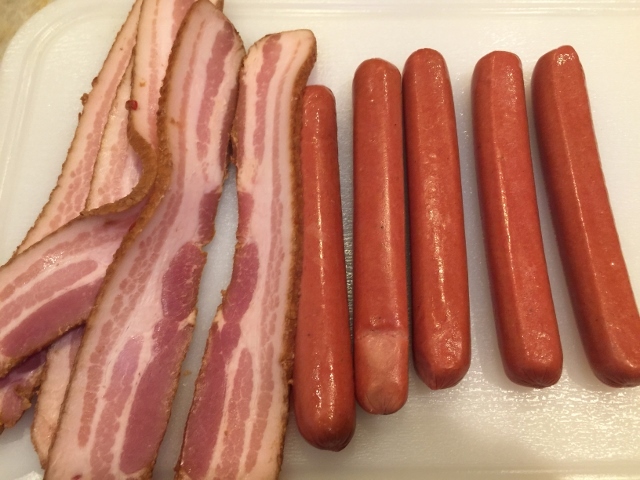 Remove hot dogs and bacon from packaging. 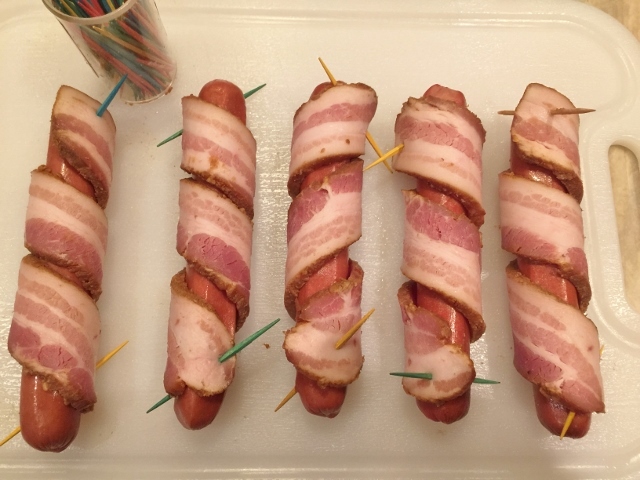 Wrap a slice of bacon around each dog and secure at ends with toothpicks. 2. Place your grill pan over medium high burners. 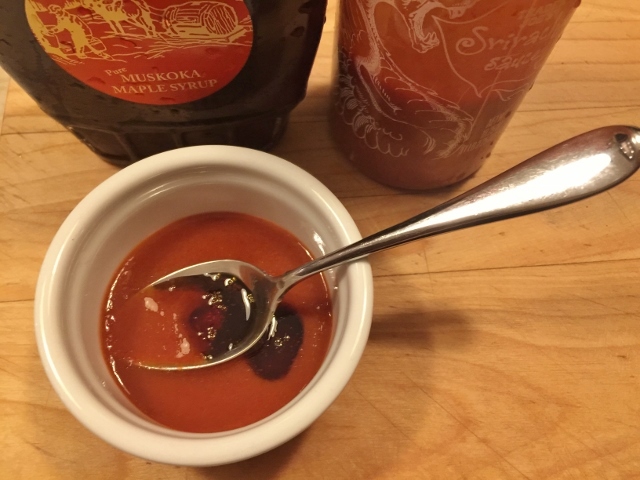 In a small bowl, combine Sriracha and maple syrup, stir to combine. Place dogs on grill and cook for 3 minutes, rotate a third of a turn and brush with sauce. Repeat twice more, until dogs are crispy brown on all sides. 3. 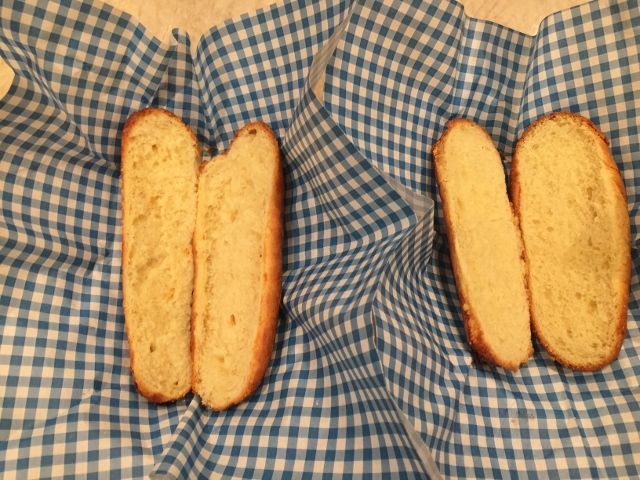 Slice buns open and warm buns in oven or on grill top, place on a plate or basket. Remove Bacon Wrapped Sriracha Dogs from heat and place one in each bun. 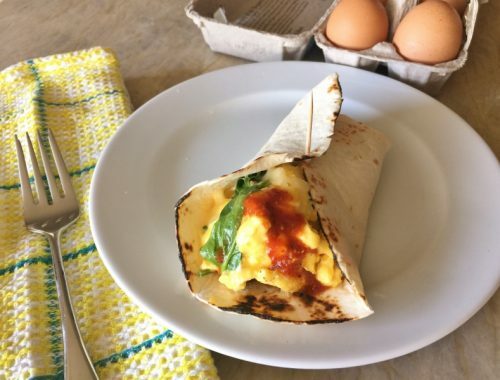 Top with a dollop of mustard and mayo and pickled peppers for extra heat. Don’t forget pickle. Enjoy!